You must make reservations at least 5 minutes in advance of the time at Angela's. There is a large parking lot behind the restaurant. Small semi-private area that can seat up to 22 people. Saboor Zafari has been a restaurant professional for almost 40 years, gathering experience in the dining scenes of New York, Chicago, and Madison before opening his first Alameda restaurant in 2001. He and his wife Mara are committed to working with fresh, local ingredients and being an integral part of the Alameda Community through partnerships with local businesses and community service. 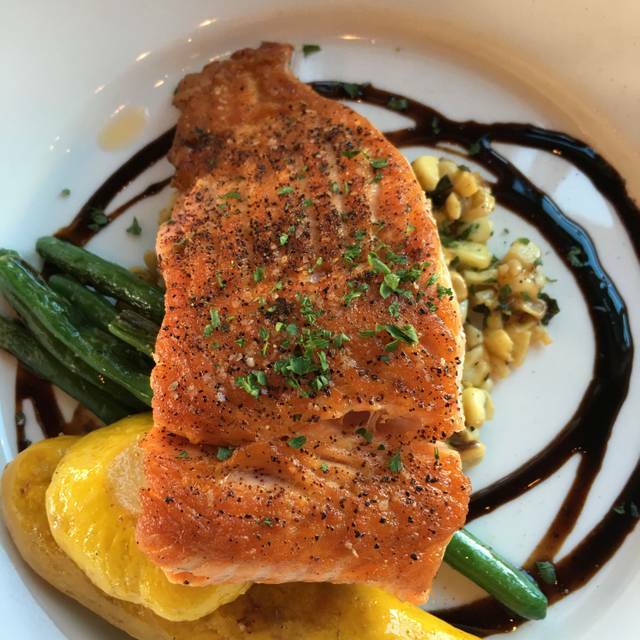 Chef Zafari brings his signature blends of Mediterranean flavor and California style to a more casual atmosphere. Maria prepares fresh house made flatbread daily, served with their signature chutney flavors of cilantro and roasted red pepper. The rotating menu takes advantage of the very best fresh, organic ingredients, sourced from independent farms and local farmers' markets. Their modern reinventions of traditional Afghan cuisine showcase those great flavors in ways that harmonize with those same local ingredients of the Bay Area. We loved it! I was surprised to get a reservation for 6:30 on a Saturday 30 minutes beforehand so I kept my expectations moderate. We had a comfy seat by the window with a view of the kitchen. The toasty bread with cilantro walnut chutney was delicious. I ordered a simple Greek salad which was yummy, but could have used a bit more zing in the dressing. I also got the Bolani appetizer which was absolutely incredible. Warm, potatoey, perfectly spiced with a delicious yogurt sauce on the side. My son had the butter and cheese pasta and happily ate a ton of it. My hubs had the chefs choice dinner with lime chicken and his only complaint was that the Cesar salad was so so so small. Overall we loved it and found it to be very family friendly. We’ll be back! Had a fabulous meal. The entire staff is delightful. Wine list is great. We will definitely be back. An absolute gem in Alameda. I'm always surprised you can get in with last minute reservations! Their fish is always perfectly done. And the bread + chutney is half the reason why I always come back. They're also really responsive and courteous if you have a food allergy (ie nuts) and go above and beyond to make sure you're having a delicious meal still! Angela’s is my favorite local restaurant and I love the consistency of the food. This was the first time we have eaten at Angela's. We arrived at early on a Friday evening and were warmly greeted. Food is really interesting and full of flavor. Chef's Spotlight if best value. I prefer vegetarian fare and there were several options for me. The Mediterranean Salad was excellent. The Potato & Leek Bolani was really good but is a perfect "shared" small plate rather than an entree alternate (my mistake). Butternut Squash Borani was excellent but best as a side dish. My guest loved the Duck Strudel and the Red Lentil Dahl was a perfect entree. I recommend picking carefully if you decide to do small plates instead of an entree. I end up with to much delicious yogurt sauce. Service is friendly and well paced. I look forward to returning and sampling more Mediterranean delights. Just love to hang out at the bar with Cody mixing up lots of magic. The kitchen with owners Saboor and Mari whip up some delicious comfort foods and outstanding lamb dishes highlight their specialities. This is a great place to hang out in Alameda and enjoy the local company! Everything was excellent from beginning to end. WE loved the bolani (?) appetizer, the lime chicken and the roasted shrimp over spinach risotto. We'll be back. Wish they were open for lunch. Food was good. Lime chicken and the South shore #4 cocktail. Could do with some wall hanging to cut down on the background noise. Food was great. We did a variety of dishes from the small plates section to have a mix. The chocolate mousse dessert was the bomb. The bartender, Cody, is fantastic there. I can see why he has a following. We are not new patrons, we have always enjoyed your cooking, all the meats are cooked outstandingly, the vegetables sheer perfection! We enjoy being able to see the kitchen and the preparations that go with it. Your staff are very knowledgeable and attentive, they work nonstop and cover for each other so that no one waits for service. Outstanding!!! Thank you so much. Look forward to serving you again soon. Excellent food! Interesting cocktails. The only thing that could improve is the speed of service. Most dishes are made to order, so that takes time, but if you aren't in a rush it will be just fine! Delicious food from beginning to end! Great Cocktails too!!! Sat at the bar on Friday night. Great drinks and vibe from Cody, the mixmaster!!! Food was delicious as usual including the French Onion soup, deviled eggs and the fantastic special that evening, lobster/crab ravioli, prepared by owners Sabor and Mari.....It was outstanding!!!! A great menu and skilled bartender. Excellent service. Friendly open kitchen. My first visit to Angela's at the Park St. location. Party of four and everyone seemed to enjoy their entrees and deserts. My wife and I started with acorn squash which was outstanding. We had meat loaf, lobster ravioli, and 2 trout on mashed potatoes. 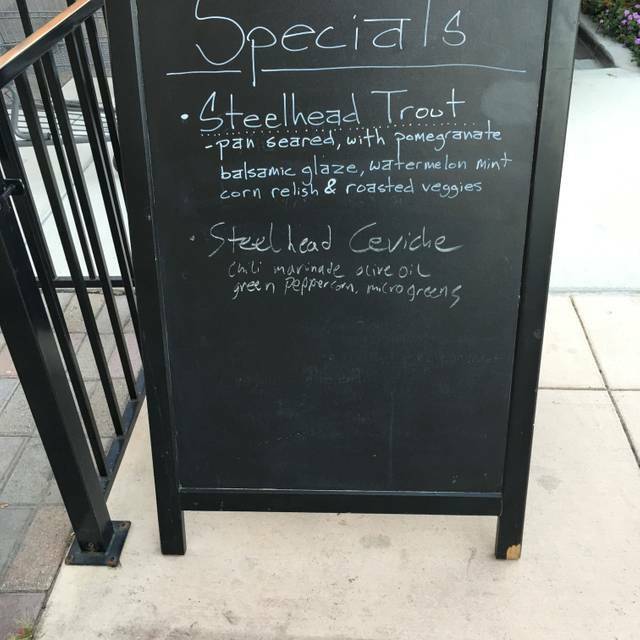 My wife loved her trout and I enjoyed mine, but I don't know if I would label it outstanding. Our guests said that their entree's were excellent and they certainly looked good. Our deserts were panna cotta, bread pudding, and chocolate mousse. I really enjoyed the chocolate mousse and, again, our guests seemed very pleased with their deserts. Our waiter was very good. Did not hurry us, provided good answers to questions about the menu, and made sure to check in without being obtrusive. I definitely will return and will recommend to others. We were celebrating my daughter-in-law’s birthday. I had given her a choice of three restaurants of what she picked Angela’s. It was a delightful time. Service was great, food was awesome and drinks were amazing. Can’t wait to go back. Always a wonderful meal with delightful staff. And there is parking! Fifth visit. Consistently good bistro with friendly service and hearty comfort food. Surprisingly quiet but it was a Tuesday night. The four of us enjoyed the onion soup, lime chicken and the special meat loaf and shared panna cotta for dessert. Will definitely return. Wonderful lime chicken and rack of lamb! My husband loved the Manhattan. We both thought the service was outstanding! Always great comfort food and service. Like to sit in the bar area and hang with Cody, the bartender who is a cool mixmaster. Owners’ Saboor and Mari provide outstanding hospitality for your stomach! Our waiter was terrific. We ordered the shared hummus, eggplant and red pepper dip. The olives were good as was the bread. The red pepper dip was inedible, neither of us found it at all pleasing. The hummus and eggplant totally lacked flavor. Both needed salt, garlic and lemon. Out lamb kebabs were delicious, well marinated and cooked perfectly. Dessert was also a problem. Bread pudding that we each took a bite of and had no interest in trying again, it shouldn’t be on the menu. The Panna cotta was absolutely fabulous, flavored lightly with rose water. Do a couple flavors of that and I’ll be there for dessert every day! I really wanted to like this restaurant, it’s close to home but the meal was so uneven. We were served two items that were just plain awful, that kind of knocks it off our list of go tos. The lamb and the steak were both amazing! Great flavor,cooked perfect. And the dessert...yummy. Will be back again. Love that it is upscale food in a casual setting. Perfect!! We met for dinner on a Sunday evening around 6 pm. We had a reservation and were promptly seated. On this rainy evening, there were a few other parties dining that evening. Our waitress was fantastic being professional, friendly, and checking-in on us to see what we may need. The food was delicious. I had the spinach and leek raviolis which were savory and light. Next time I'll for sure try a cocktail as the bar menu looked great! Overall, I recommend Angela's if you're looking for Mediterranean inspired cooking! The food is always good, and the cocktails are interesting and adventurous. Unfortunately, the restaurant service is hit or miss. and attentive. There were 4 of us that were experiencing Angela’s for the first time! Food was fresh and delicious, and the service was superb. I'd like to see a better mocktail and dessert selection, then we'll be up to five stars. Meal with friends and family. I had the scallops which was a special of the night and they were prepared perfectly with a saffron beurre blanc. The other diner had the chicken sausage linguine which is a generous portion. Personalized service. I had my birthday there a year ago and they worked with me to provide a great experience for my guests. They still remember me and give great service. Sometimes could use another sever when it’s busy is all. Servers are all long term employees. Menu is pretty set. All options are fresh and well prepared. Lime chicken was outstanding and so was, and always is, the duck appetizer wonderful. The devilled eggs could have used a bit more devil. And the persimmon crumble was a pure comfort food end to a delightful meal. 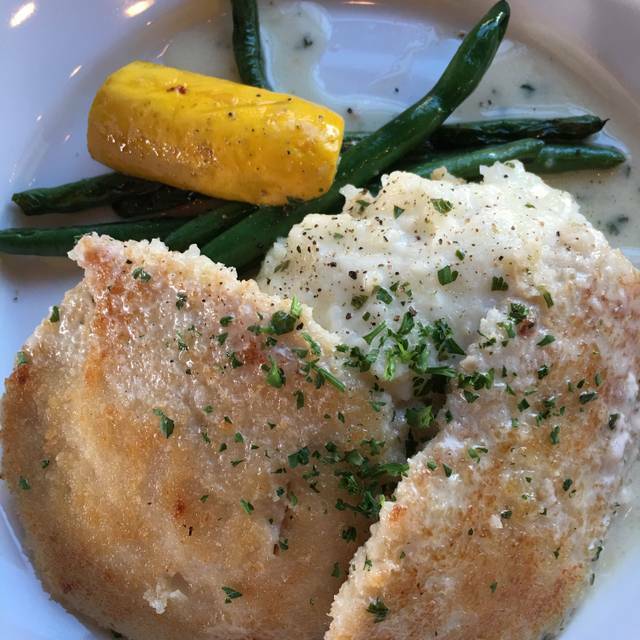 Angela’s is our favorite go-to place when we aren’t craving Italian food. this restaurant never dissappoints. the Aushak is fabulous as is the lime chicken, beef tenderloin and salmon. the bartender is very creative and skillful though i usually have the same drink.